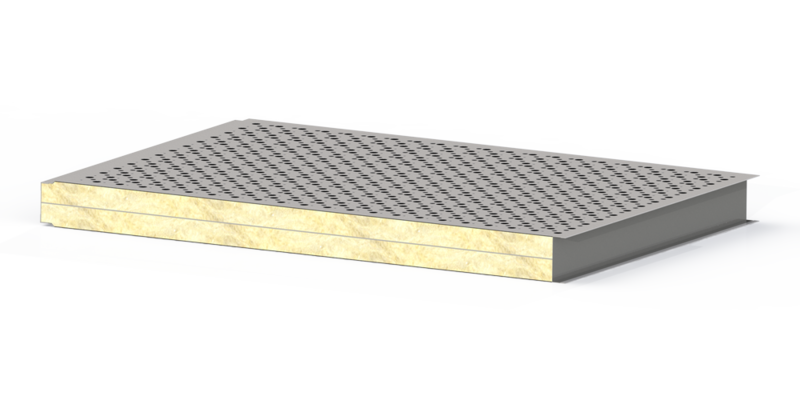 Bi-absorptive soundproofing panel, steel male/female joint with rock wool insulated core. Can be used for the sound insulation of industrial environments such as, for example, acoustic booths, partitions,roofs and small noise barriers. Mainly used in the internal partitioning of industrial environments.